Price is Right is a popular online slot machine game developed by WMS Gaming and is based on a very popular TV show with the same name. The game boasts high and powerful graphics and wonderful background music along with the characters on the real TV shows appear in the form of value symbols. The game is available to be played in various online casinos for real money as well as for free. Players have a liberty to choose and rest assured to have a wonderful time in playing this game, studded with free spins and bonus rounds. The game possesses a variable payline of 25 and 5 reels to play. Thus, learning of the actual process will not be a very tough task. The players are required to hit at least two similar symbols on the same winning line. This is an unusual figure, as most of the online slot machine games offer the players to hit at least three symbols, but this game does offers a better win percentage to the players for this important feature. The players can set a modest range of lesser paylines, but rest assured that will not fetch more bonuses or wagers. It is obviously recommended to make an all-out use of the 25 paylines for better results. Next to this feature, there is one Stake button, which allows the players to set up other details such as coin values and sizes and the range falls between 1 to 10 coins. On setting 10 coins in the coin value segments, ensures the players are playing for the maximum bet of 350 coins. The limit is generally considered as to be good enough, for a reason because the players can earn more in a special feature called as Big Wheel later in the game. The game consists of a Big Wheel feature, where in the bottom right side of the screen a big wheel can be spotted. The players can activated anytime while playing the main game. On enabling the feature, the coin value gets increased to 10 more coins. For a person playing with maximum 10 coins will eventually get 20 coins on activating the feature.Though there is a risk of losing all in case of this round, but it is worth it since the chances of scoring multiplier values and unlocking mini games increases. The game consists of two important symbols, Wild and Scatter. The Wild Symbol is denoted by the picture of the host of the Price is Right show and it appears only on reels 2, 3 and 4. The symbol substitutes all other symbols except for the scatters. On hitting three of Wilds, a mini game called Secret X Bonus or Cliff Hanger Bonus feature, where the players will require playing a guessing game in the former one to win prizes. The latter Cliff Hanger Bonus feature is about free spins and gives away the players a set of 8 free spins to pay and after completing the round, a mini game starts. The game is themed after a hiker’s quest of climbing a cliff summit and can halt anywhere on the trail and those trails are marked filled with random multiplier signs. On standing on one such, the players get a 2x multiplier as a consolation prize. Scatter symbol of the game is denoted by the logo of the show. The symbol appears only on reels 1, 2 and 3. On hitting three of these scatter symbols; a new feature will be activated called as the Showcase Bonus Feature. In this feature, the board gets filled with items from least to most valuation and the players are required to order them properly. The prize for such arrangement is 100x of the total bet and on failing the prize is 5X. 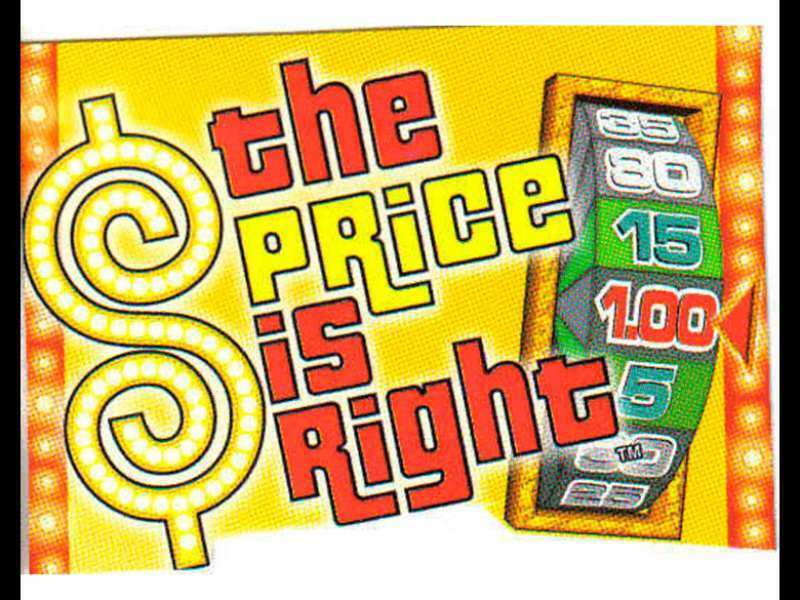 Price Is Right can be easily concluded as the re modified version of the very popular TV show with the same title. The game primarily focuses on the background of the show and yet primarily focuses on the slot arrangement and gives out the gamers a plethora of winning chances in the forms of bonus games, ranging from high to low. This game can be played across all modern mobile devices with various O/S and requires absolutely no download or registrations to play. To play free Price is Right casino slot machine game; there are plenty of online casinos serving for the same purpose, all across UK. 0 responses to "Price Is Right Slot"